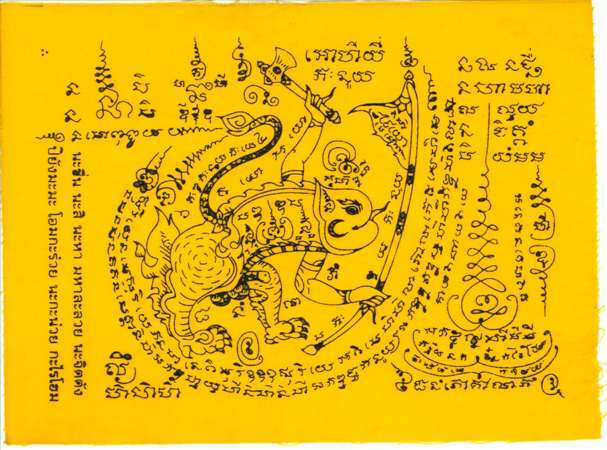 Taep Paetch Payatorn is a Lovers Deity for Metta Mahaniyom, Maha Sanaeh and Kaa Khaay purposes. The Deva (‘Taep’ means ‘Deva’ in Thai) of Paetch Payatorn appears in various forms (even seen as Palad Khik). He dwells in the Himapant forest, and is a Deva who likes to approach and send his dreams to make people love each other, rather like Cupid with his arrow. This is thus a ‘Kamataep’ (Kama means sexual or amorous, and Taep means Deva – Deva of Love and Passion).